Product prices and availability are accurate as of 2019-04-23 06:45:16 EDT and are subject to change. Any price and availability information displayed on http://www.amazon.com/ at the time of purchase will apply to the purchase of this product. 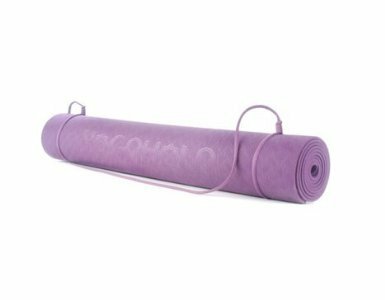 The YogaHola deluxe ultra soft premium Yoga Mat is manufactured of only the highest quality materials and is coated with a proprietary anti-microbial layer to prevent the buildup of unwanted toxins after a sweaty workout. Our mats are thicker and softer than the others out there. But most importantly; Ours are eco-safe and free of Latex, Phthalates and other chemicals commonly found in imported products. 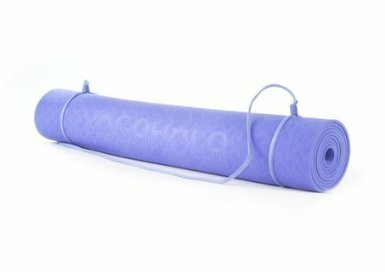 Our Eco-Foam non-slip mat is good for all types of yoga, especially for restorative poses. Reward yourself and your body with a YogaHola Mat, and you will quickly realize why our Yoga mats are the first and most high recommended non slip mats found in yoga studios, schools, fitness clubs, and your neighbors home! -- YogaHola Premium Eco-Foam Yoga Mats are designed by Sharona Krishna a true yogi in every sense. She has been practicing and teaching the art of Yoga including Vinyasa, Ashtanga, and Bikram for over 10 years and has a rapidly growing and devout following in her local community. We proudly support Equality for Women and the Partnership for a Greener America.